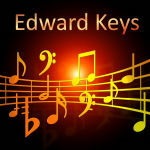 Based in the Netherlands, Edward Keys, has over 25 years experience composing and playing as a multi-instrumentalist in various Pop, Blues, Rock, Jazz, Heavy Metal, Folk, Singer-Songwriter, and Electro bands. He is now a composer and producer who has traveled and lived all around the world, gathering influences from numerous cultures and injecting them into his own music compositions. The result is a diverse and inspired collection of music productions that will add spice and sparkle to any media project. --> Mini Music Pack: only full, instru and time edits (60s, 30s, 15s and stinger) are included. --> Full Music Pack: = all edits = Mini Music packs + loops+ variations All tracks proposed here are royalty free, so once you purchase a licence from Motion Elements, you are free to sync the music to your video and publish it. And you the creator, will not pay anything else ! You are not obliged to do that but it would be much appreciated by the composer: It allows him to perceive his royalty share.The broadcast company pays a blanket fee to Performer’s Right Organisations (PRO). When the music is aired, a “cue sheet” is filed by the broadcaster to the PRO. This cue sheet indicates the title of the music, how long the music was broadcast and how often. 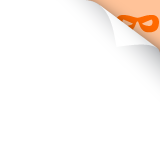 The PRO will determine the share of the blanket fee that is due to the composer and pay the composer. So IT DOES NOT COST YOU A THING, but it allows the composer to be paid for his work and produce more amazing music to enhance your videos!. Thank you, and I hope you enjoy the Music! !